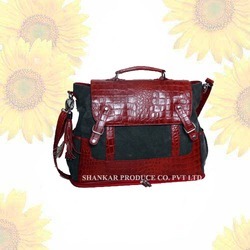 Description: This Designer's Canvas Satchel Bag is made in combination with Croco printed leather. It has multiple compartments, zip pockets inside. It has a special bottom pocket with zip around. 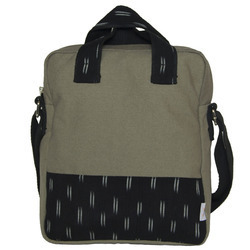 It has a detachable shoulder straps for convenience to carry in hand. It is very specious inside. Color Available: Grey, Black, Light Green, Cream, Beige, Brown etc.